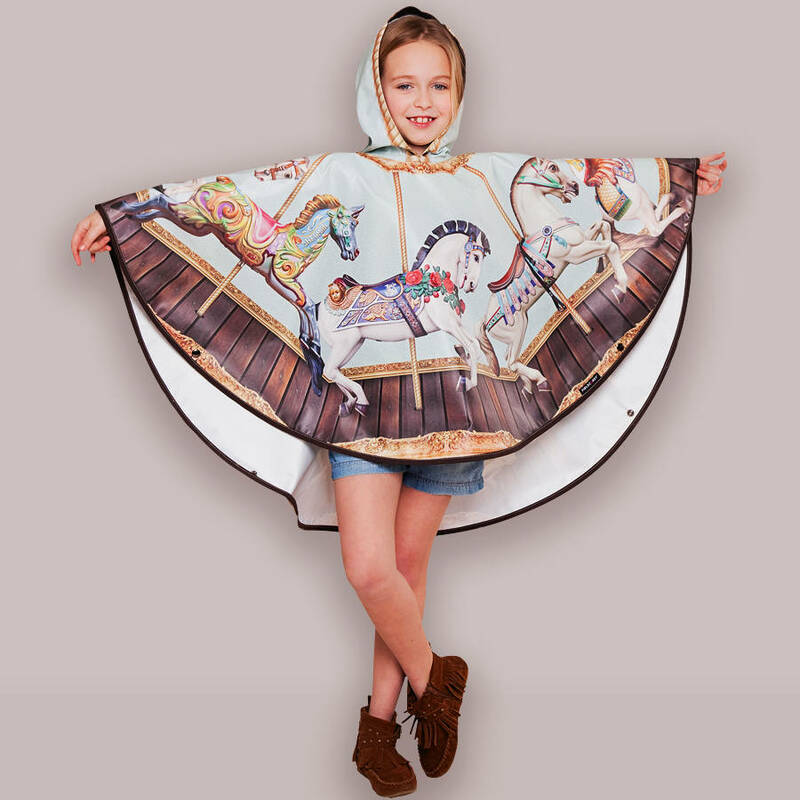 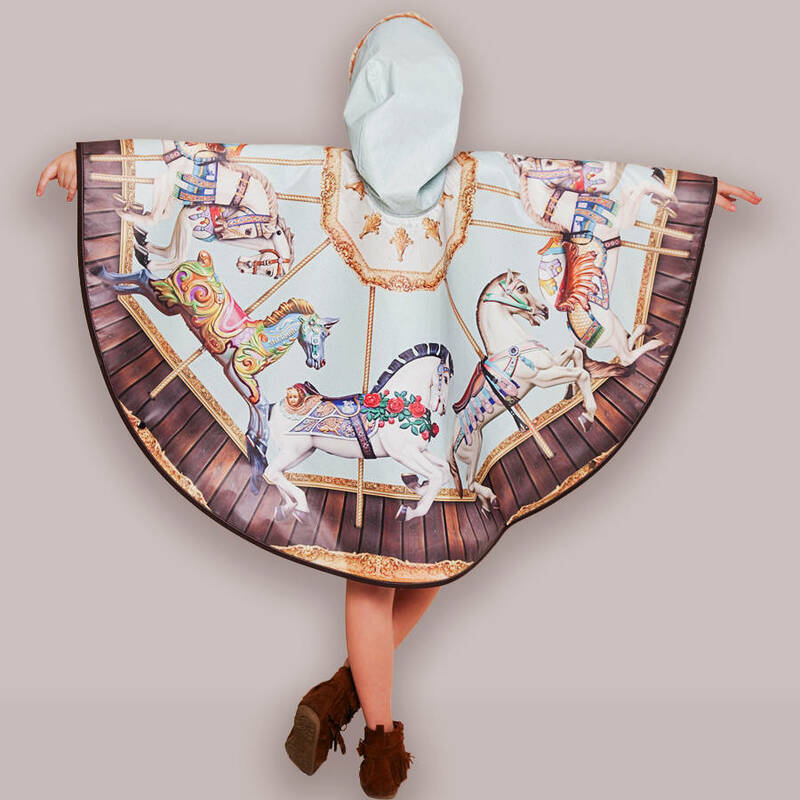 Vintage Fairground Carousel themed waterproof Poncho for Children. 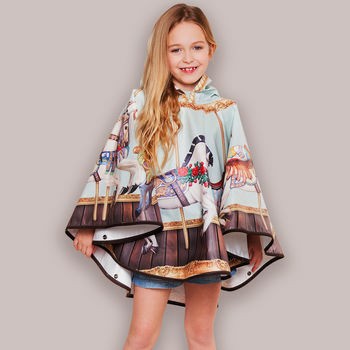 Rain shouldn’t stop the fun, this beautiful Poncho is perfect for rainy days at the park, family outings or simply as everyday rainwear. 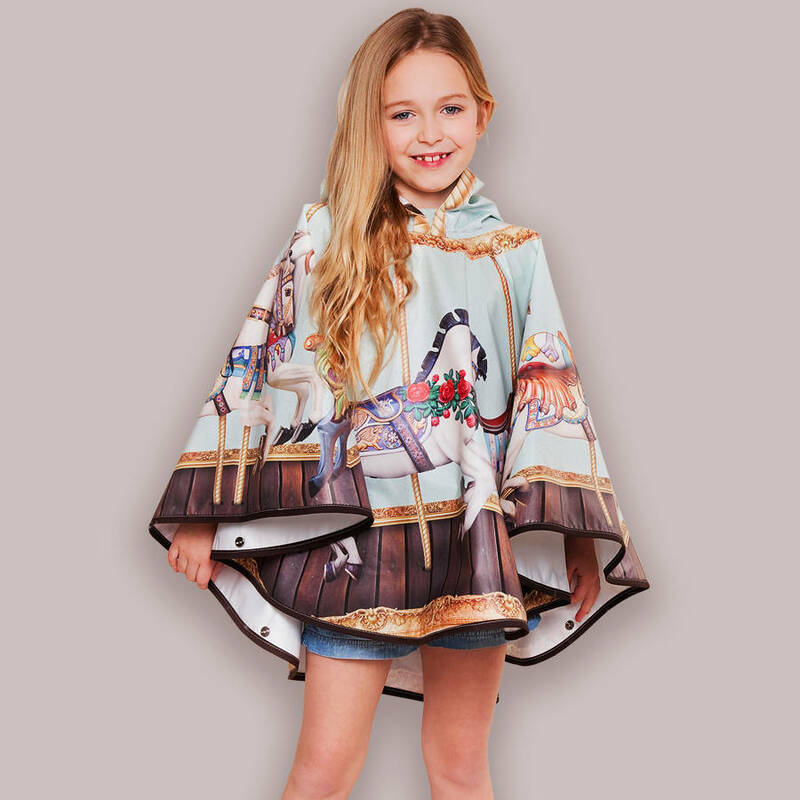 Cleverly designed to be longer in the back ensuring protection when sitting on the ground or wet surfaces.